Colorado’s Secretary of State handles voter registration and election administration, as well as business licensing in the state. 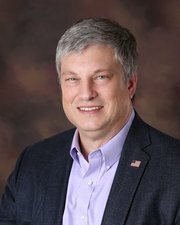 The incumbent, Republican Wayne Williams, served as both clerk and county commissioner in El Paso County before being elected to statewide office in 2014. 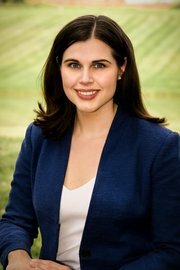 The Democratic challenger is Jena Griswold, who worked for the Obama administration and is a native of Estes Park. Their answers have been edited for brevity, and the questions are paraphrased. Jena Griswold: Coloradans’ voting rights and accessibility to the polls is my number one concern, and will be my number one concern as Secretary of State. Our statewide voter registration system, which has to work on election day in a mail-in ballot state like ours, has a history of going down and delaying voting. It went down in 2010, it went down in 2014 … it went down again in 2016 for about 28 minutes … causing 2- to 3-hour lines at the polls. I want to fix it. Look, we have some of the best IT minds in the nation here in Colorado. We have great IT in government, we also have great IT in the private sector. It has to be a priority that a system that has to work on Election Day cannot go down on Election Day. That really affects the right to vote … I’m sure some people say, ‘You know, I just can’t wait two to three hours.’ So that’s something I would really like to fix. Wayne Williams: The first priority is to continue to ensure the cybersecurity of Colorado's elections. it's one of the things I'm focused on. We have all of the county clerks coming together that will be joining us in Englewood for a training session to prepare for cybersecurity of the elections. That need is going to continue after the election. We have to do that. We have a host of new clerks that are coming in and so providing them the training they need … in order to be effective county clerks and be able to ensure the security of Colorado elections is the foremost task that’s there. Q: What have you done, or what will you do, to expand access to vote in Colorado? Williams: As Colorado Secretary of State, I’ve continued to expand the ability to use the (voter registration) online portal we have, GoVoteColorado.com. We’ve had over two million transactions on that. But I didn’t stop there. I’ve also worked to establish text to vote. So you can text “CO” to “2VOTE” or “20683.” So you can register with those seven simple characters. So that’s about as easy as it can be. Except, then I made it easier. I worked with the legislature, unanimously by the way … to establish automatic voter registration in Colorado. So now when you get a driver’s license, when you update your driver’s license, we’re able to automatically register you to vote, or automatically change things. That’s why Colorado has the highest percentage of registered voters in the country. Griswold: I want to expand [automatic voter registration] outside of the DMV. You know, younger people, people living in cities, they just aren’t driving as much. They have the Uber and the Lyft technologies and I think we can expect driverless car technology to come out over the next decade. I really believe government should meet people where they are, and they might not be in the DMV. You can imagine expanding automatic voter registration to anywhere folks interact with the state: public universities, where folks pay taxes. The issue is, that we have to build out the IT so that the voter registration systems correspond with agencies’ IT so they can talk to each other. Q: The Secretary of State turned over public voter registration data (withholding confidential information) upon the request of President Trump's now-defunct voter fraud commission. Was that the right move? Griswold: Most secretaries of state, in a bipartisan approach, came out and opposed this commission. … Our current Secretary of State took a different path. He said it was good the commission was collecting information and sent Coloradans’ voter information to the Trump commission in D.C. This caused thousands of Coloradans to cancel their voter registration … At the end of the day, if our current Secretary of State would have waited for the judiciary to determine whether there was a valid request, we would have had thousands of Coloradans who would have not canceled their voter registration. Williams: I welcomed their asking our input on various issues. They asked seven questions. It’s one of the few times the federal government has actually asked us in Colorado what we think of various issues. ‘How do you make elections better? What are the issues facing you? How can we help in terms of cybersecurity?’ Those are the questions that I welcomed and we provided answers to that are on our website. Griswold: There were lots of reasons to suspect that this commission was based on bad facts from the start. President Trump said hey, five million people illegally voted, without a shred of evidence. Williams: I said, and it is clear, that I did not believe there were fraudulent votes at that (scale) … I think as an elected official you have a responsibility to try to respond to inquiries when they’re made, to provide information in a fair way, and it’s a very dangerous thing if you have a Secretary of State who says … ‘I only want to answer questions for the people I like. I only want to give data to the people I like.’ That type of partisan cronyism is not what we want.